You can send fax from Word easily. You just need to install WiseFax add-in for Microsoft Word. Add-in is available in MS Word by selecting Insert > Store or Insert > Add-ins > Store ribbon button. Then search for WiseFax add-in in the store and add it to MS Word by clicking the Add button. 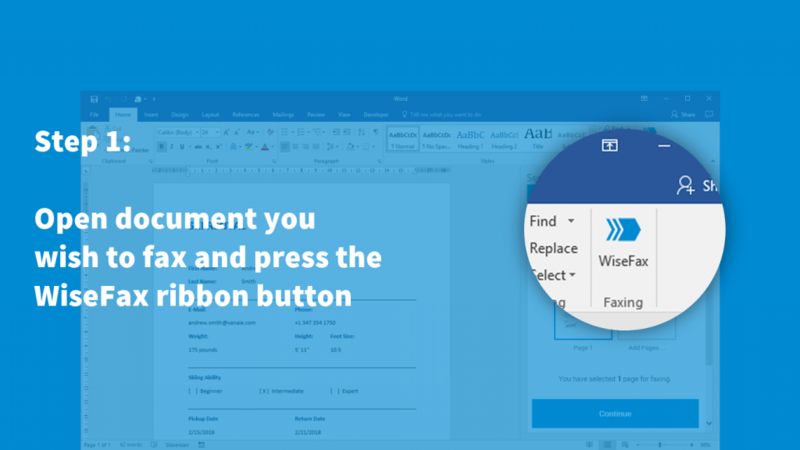 You will find “WiseFax” button in the Home ribbon in Microsoft Office 2016, and “Send fax with WiseFax!” button under My Apps menu in the Insert ribbon in Microsoft Office 2013. You can use these two buttons to fax your currently opened document directly from MS Word to any fax number. You don’t need a subscription, because you only pay for the fax sending service as you go. With no hidden fees. Quick, simple and transparent. It is quick and easy to send fax from Word. To send faxes from MS Word you just install the WiseFax add-in for MS Word, and you are ready to send faxes directly from your text editor. So, besides sending fax using an online service, you can easily send it also from Microsoft Word. Preview the document, select pages that you wish to send, add additional documents or picture material, enter fax number and press Send button. That’s it! WiseFax will do the rest for you. 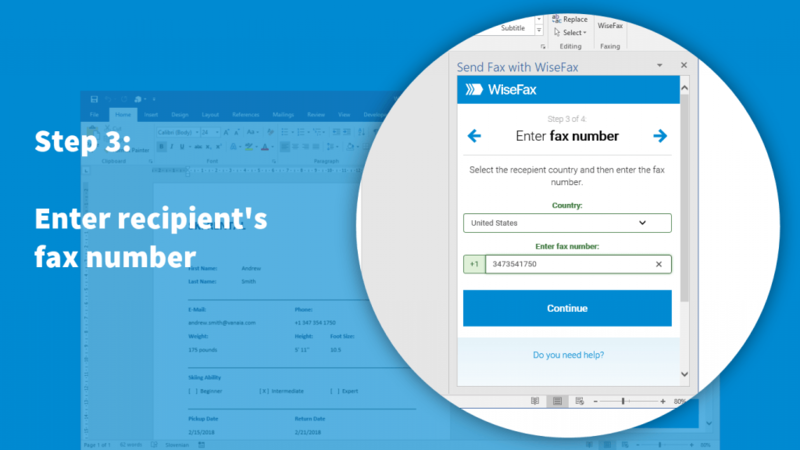 WiseFax also recognizes all most common file types like MS Word document, MS Excel spreadsheet, Adobe Acrobat PDF, OpenOffice and LibreOffice documents, ScanWritr documents and many others, so you can add additional documents to your fax. It also supports sending JPEG, GIF, PNG and BMP picture formats, therefore you can also easily add different pictures to the fax. 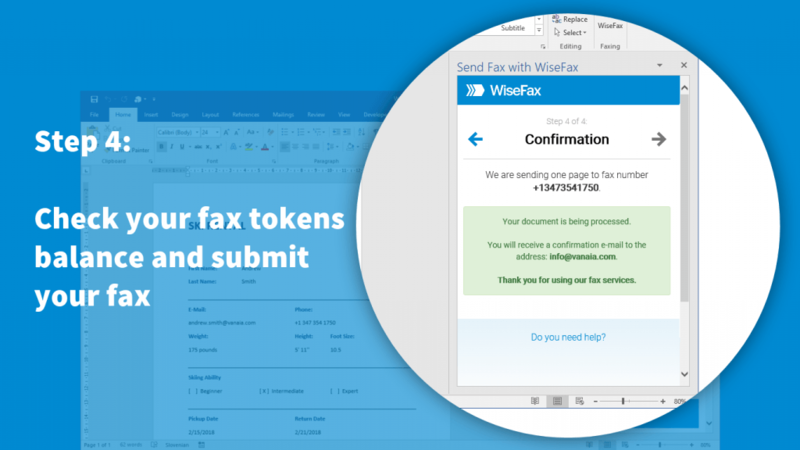 WiseFax will automatically convert added documents to fax and optimize it before sending. To send fax from Word you only need WiseFax add-in. WiseFax is a free add-in. You will be charged only for successfully sent internet faxes. There are no regular monthly costs and no hidden fees. WiseFax will calculate the price and present it to you before sending. So, you will always know the total cost before you approve it. Price calculation is based only on the number of pages and recipient’s location. After successful delivery you will get fax confirmation to your email address. 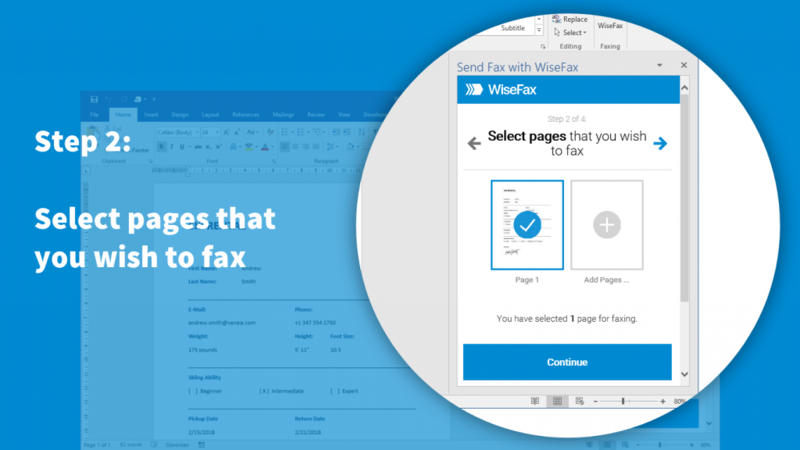 Install the WiseFax add-in for Word and start sending faxes directly from your favourite text editor. You can install WiseFax add-in from MS Word Store, so you are just steps away from faxing from your favourite text editor. In conclusion you will be able to send your previewed document directly from MS Word to any fax machine in the world. Try it now!